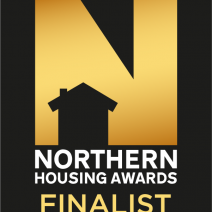 WCHG are delighted to be shortlisted in the Northern Housing Awards (NHA). The NHA promote and celebrate innovative affordable housing providers, projects and services in the North that are helping to create great communities where people love to live. The winners will be announced at the awards ceremony at the Midland Hotel in Manchester on the 16th May.